Our Database Infrastructure Services you can access your database with high availability always and can optimize your database footprint, thereby reducing total cost of ownership and maximizing return on investment. Database is the most important component for any business application. It is the core around which rotates the whole software application orbit. Consequently, database management services are key areas as it keeps up the critical data vault for an organization. Since databases hold all the essential data of the organization, they should be ceaselessly improved to accomplish the proficiency and cost adequacy for the organization. Inferable from viable database services, there are ideal odds of disposing of downtime, giving entrepreneurs and clients an adaptable and capable database securing the execution of their significant business operations. MySQL is a fast, simple to-utilize RDBMS being utilized for some little and huge organizations. It is open source and permits different clients to get to various databases going about as a server. Microsoft SQL Server database can be used as a complete business intelligence platform. This platform permits you to import data from databases and other systems, analyze it, and generate reports from that data. 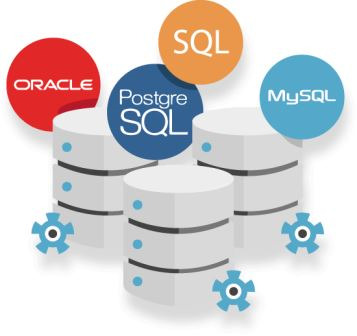 The Oracle database management system is one of the greatest powerful relational database management systems and has immense ability of handling a huge amount of data. By using our Database Infrastructure Services you can access your database with high availability always. By using our services you can optimize your database footprint, thereby reducing total cost of ownership and maximizing return on investment. As information keeps on extending and technology propels at an always quick pace so by utilizing our services we can furnish endeavors with a database solution that is easy to utilize and simple to redesign.